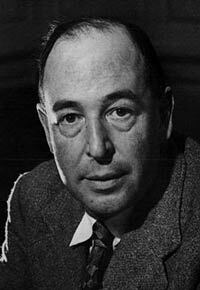 C. S. Lewis (1898-1963) was born as Clive Staple Lewis, but was often called “Jack” by his family and close friends. Lewis was born in Belfast, Ireland, and was a well-known novelist, poet, medievalist and Christian apologist. He was close friends with fellow novelist J.R.R. Tolkien, as they both served in an Oxford literary group. Lewis is best known for his work entitled The Chronicles of Narnia. Lewis grew up in Belfast with his parents and an older brother named Warren Hamilton. At the age of four, he witnessed his dog, Jacksie, get killed after being run over by a car. After that, he declared that his name was Jack and he did not answer to any other name. Following this incident, Lewis fell in love with anthropomorphic animals. He enjoyed reading books written by Beatrix Potter and he wrote and illustrated his own animal stories. He and his brother created an animal world when they were younger which they called “Boxen.” This was later published as Boxen: The Imaginary World of the Young C. S. Lewis. Young Lewis was mainly schooled by private tutors after his mother passed away after battling with cancer. He was then sent to Wynyard School in Watford. He attended several private schools in his childhood without being rooted in one place. He developed a fondness for Greek and Norse mythology and also excelled at other subjects. In his teenage years, he was awarded a scholarship to Oxford University. During WWI, he left his studies in order to serve in the British Army. He returned to Oxford in 1920 to receive Honors in Green and Latin Literature. Lewis was a prolific writer. He was awarded a Triple First, the highest award that one can achieve at Oxford. He and his friends formed a literary group called Inklings. J.R.R. Tolkien was part of this group. He wrote a number of fictional novels and was one of the most popular Christian apologists during his time. There were three major arguments in which Lewis attempted and advocated for the existence of God. Those three arguments are the moral argument, the argument from desire, and his argument from reason. He also believed that his Trilemma argument proved that Jesus was divine and, in fact, God. His novels had themes of Christianity as he tried to present a rational basis for his faith. He did this through philosophical arguments. His famous series, The Chronicles of Narnia, even had Christian themes and is said to be based on the New Testament. Lewis experienced an illness which resulted in blood poisoning and kidney failure. He passed away on November 22, 1963, just one week before his 65th birthday. His books still attract a wide readership to this day. In 2008, The New York Times included him in the list of 50 great British writers.